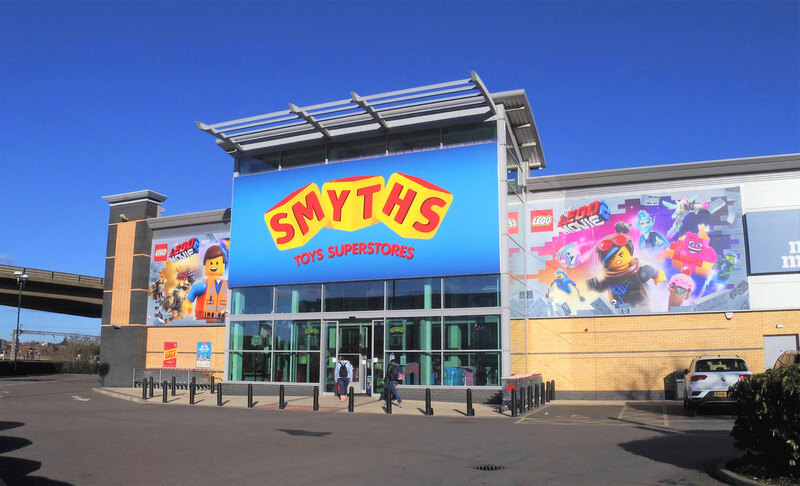 We were approached by Oakwood Agency on behalf of their clients Smyths Toy Store. The brief was simple. 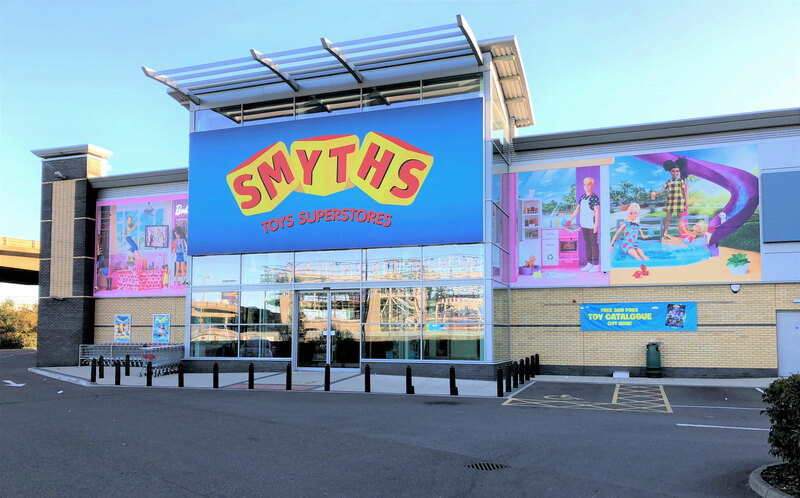 To vinyl wrap either side of the toy store with the latest product launches for the season. So far, this ongoing project has included graphics for Barbie in September 2018, and Lego for January 2019. They turned to us because of our experience wrapping both residential developments and commercial spaces. Because of this, they knew they could trust Octink to bring their concepts and ideas to life. 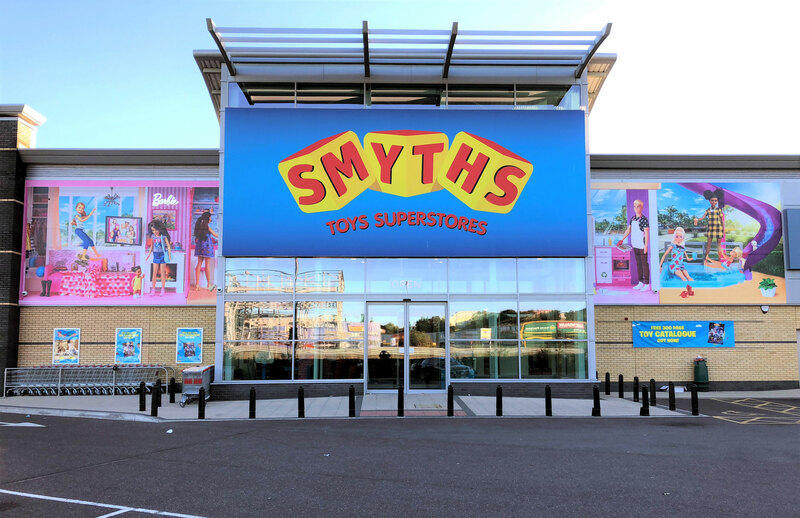 Whilst vinyl printing and installation is our forte, the Smyths store building wrap did present some interesting challenges for us. The applied vinyl had to be removable and leave no residue to the building. Also, the installation needed to be completed after working hours. Since this project started in winter, this means both installs were completed in darkness. In addition, the temperature and weather of these winter months made vinyl application very tricky. However, the end result is outstanding. High quality vinyl printing created a prominent 3D effect on the building. In addition, gloss laminates were used in areas of the design to make certain elements stand out. One example of this is the water area in the Barbie design. The installs create a visually striking branding display whilst clearly marketing the products.